This rustic twisted juniper mantel is long with a wide corkscrew twist. It features rich brown, red, and cream color tone interwoven within the corkscrew twist. 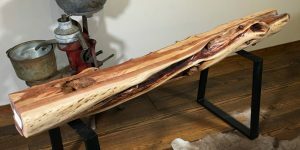 This rustic log mantel also doubles as a floating wood shelf. 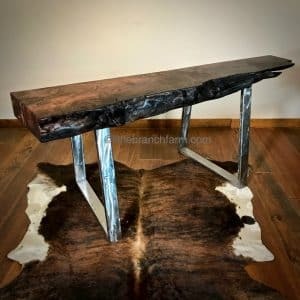 Other uses for this unique wood is log beds and bases for wood slab tables. While western juniper is common twisted juniper trees are not. 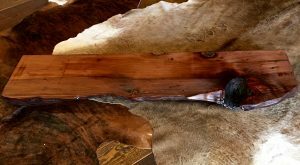 Because of this, it is not commonly used in rustic furniture. Juniper furniture and rustic home decor go hand in hand. 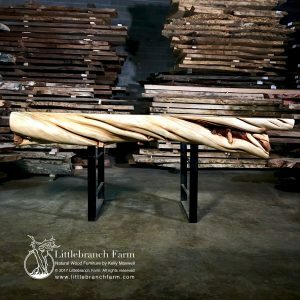 Although it is gaining popularity in rustic modern decors as a way to add color and natural wood into the home.